Within a 10-minute walk of this Downtown Minneapolis hotel, you'll find Guthrie Theater and Nicollet Mall. Also, U.S. Bank Stadium is within half a mile (1 km) and Target Center is within 2 miles (3 km). This hotel features a restaurant, a 24-hour fitness center, and a bar/lounge. Traveling for business? Take advantage of the free WiFi in public areas, laundry service, and conference space. Self parking and luggage storage are also offered on site. Offering conveniences like refrigerators and coffee/tea makers, the 164 guestrooms also have free WiFi and TVs. Rainfall showerheads, free bottled water, and hair dryers are also available. There's a restaurant on site. You can enjoy a drink at the bar/lounge. WiFi is free in public spaces. Event space at this hotel measures 1000 square feet (93 square meters) and includes conference space. 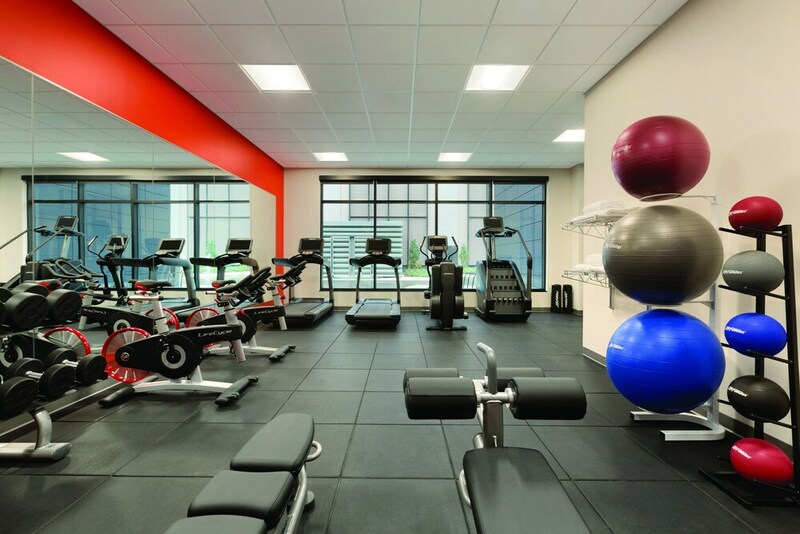 A 24-hour fitness center, an arcade/game room, and dry cleaning/laundry services are also featured at the business-friendly Radisson RED Minneapolis. Limited parking is available for a fee and is offered on a first-come, first-served basis. This 3.5-star Minneapolis hotel is smoke free. Radisson RED Minneapolis offers 164 air-conditioned accommodations with safes and complimentary bottled water. Refrigerators and coffee/tea makers are provided. Bathrooms include showers with rainfall showerheads, complimentary toiletries, and hair dryers. Guests can surf the web using the complimentary wireless Internet access. Housekeeping is provided daily. For a fee, guests can enjoy cooked-to-order breakfast daily from 6 AM to 10:00 AM. Special requests are subject to availability upon check-in and may incur additional charges. Special requests cannot be guaranteed. The name on the credit card used at check-in to pay for incidentals must be the primary name on the guestroom reservation. Prepaid credit cards are not accepted for any bookings.